The Stay | some vacations stay with you. forever. Check out The Stay and dozens more genre films ONLINE – and don’t forget to vote for your favourites in the comments! ZedFest Film Festival in Hollywood, California USA has awarded writer/director Frazer Lee the Edgar Allan Poe Gothic Filmmaker of the year for his work on The Stay. Many thanks from the cast and crew of The Stay to the Festival Directors and to all of our supporters! The Stay won big at ZedFest 2018, winning Outstanding Directing (Frazer Lee), Outstanding Screen Story (Frazer Lee) and Outstanding Acting Performance (Daniela Finley) Awards. Huge congratulations to our star, Daniela Finley, who was awarded Outstanding Acting Performance for her work in The Stay, at Zed Fest 2018 in Hollywood, California USA. The Stay‘s writer/director Frazer Lee was awarded the Outstanding Directing Award and the Outstanding Screen Story Award in recognition of his work on our film. Huge thanks from the entire cast and crew of The Stay to the Zed Fest organisers Wendy & Ed, and their team, for selecting and supporting our film, and for celebrating our efforts with these wonderful awards. It is truly appreciated. Check out the Zed Fest website for the full, star-studded list of winners and selectees! We are delighted to announce that The Stay is screening as part of a star-studded line up at the Zed Fest 2018 Film Festival Filmmakers Panel and Movie Block on Nov 7, 2018 at 8pm at the Laemmle Noho 7 Theater, North Hollywood, USA. Our thanks to all at ZedFest for selecting our movie. And to all who are watching on Nov 7, enjoy your Stay! Watch the amazing Daniela Finley in The Stay, screening in Official Selection at Dragon Con Independent Film Festival 2018 this weekend! Download the Official Dragon Con 2018 App for the full weekend of screenings, panels, and hundreds of other events. Thanks to the curators of the Independent Shorts Awards in Los Angeles USA for selecting The Stay and awarding our film the amazing Best Horror Short Silver Award! Check the Awards website for the full list of honours. 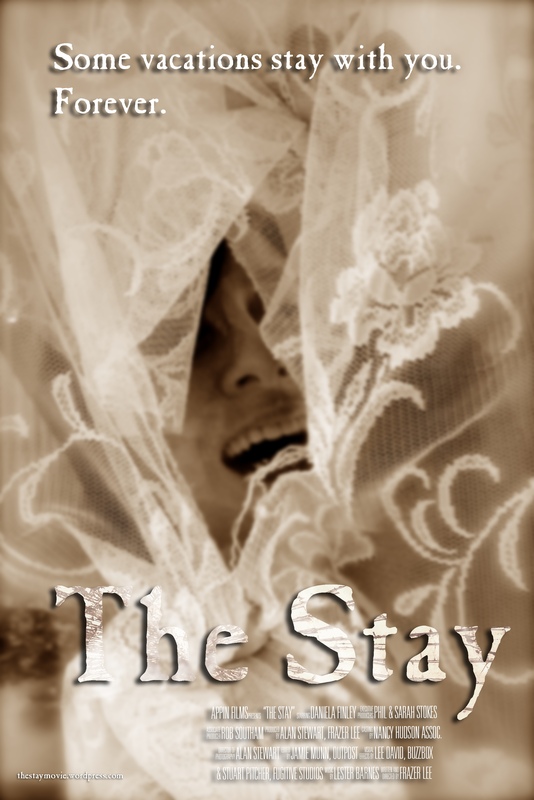 Many thanks to the cast & crew, and all our supporters for helping make The Stay a successful independent film production. Next up – DragonCon Independent Film Festival, Aug 30–Sept 3, 2018 Atlanta, GA USA!